Cleveland, Ohio – The bowling balls and gym bags are gone. So are the bowling alley and the gym, for that matter. Once a mecca for networking, revelry and sport, the Cleveland Athletic Club building is a shell. 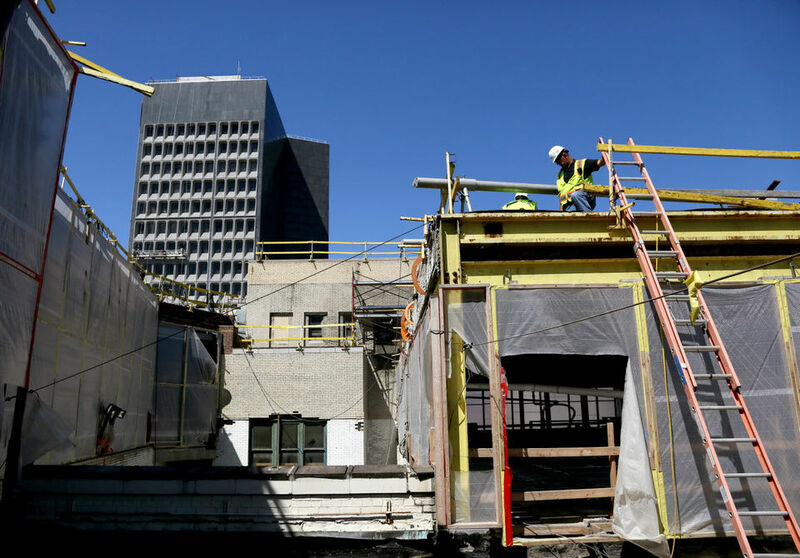 Inside, 140 to 200 construction workers labor each day to meet a looming Oct. 1 deadline for bringing life – the first apartment tenants – back to one of downtown’s best-known addresses. By mid-March, a team of local developers hopes to finish their long-awaited conversion of the building into 163 apartments. The seventh-floor ballroom, which hosted its last Christmas party in 2007 just before the private club closed, will become office space. 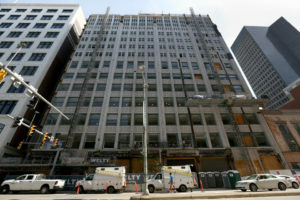 Storefronts will line the street at 1118-1148 Euclid Ave. The swimming pool, where a man who went on to play Tarzan on the silver screen set a world record for the 150-yard backstroke in December 1922, will be restored and refilled – with less water, though, since developers have shaved the depth from 9 feet to only four and a half. Renamed the Athlon – drawing on the Greek word for prize or contest – the $61 million project is one of the last missing links on Euclid between Public Square and Playhouse Square. It sits in the middle of a long-moribund block that is finally reviving. 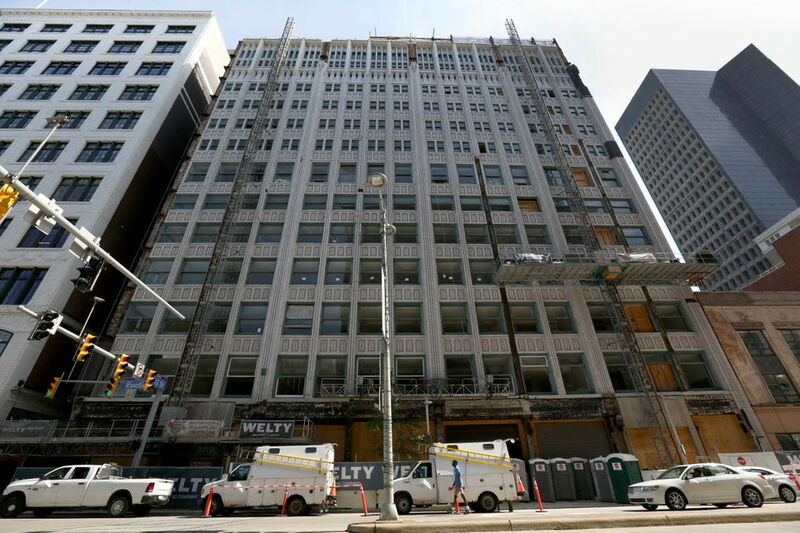 Across the street, the Statler Arms apartments and the former Huntington Building, at 925 Euclid Ave., changed hands early this year and are set for renovations under the Millennia Companies of Cleveland. Wedged between those buildings, the John Hartness Brown complex is on the precipice of an apartment conversion after more than a decade of stagnation. The area will be yet another testing ground for the strength of Cleveland’s residential market, as hundreds of apartments – most of them in existing buildings that aren’t necessarily appealing to office tenants – come online across the central business district. 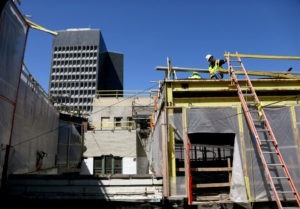 Lenders and some developers are wary about the potential for overbuilding. But, so far, renters appear to be jumping at the opportunity for urban living at monthly costs that, though they might seem high for Cleveland, are still much lower than rates in many other major cities. 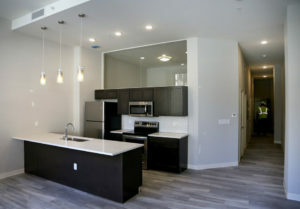 At the Athlon, one-bedroom apartments are expected to rent, on average, for $1,500 a month. Two-bedroom units are priced at $2,500 a month on average, said Tina Vespucci, vice president of J&S Management, the property manager. The apartments will range from 625 to 1,500 square feet, including two- and three-story units carved out of the former gymnasium, squash courts and bowling alley on the upper floors. Those athletic facilities either were too wrecked to save or were modern additions to the club that didn’t need to be retained as part of a historic-preservation project. “There was a room that was water-damaged and full of mold,” said Joe DiGeronimo, a co-developer of the Athlon and vice president of Precision Environmental, the family-owned company that cleared 15,000 cubic yards of debris out of the building during demolition. DiGeronimo and Joe Bobeck, Jr., whose family rounds out the local development team, said they’ve tried to preserve the club’s history wherever they’ve found it. 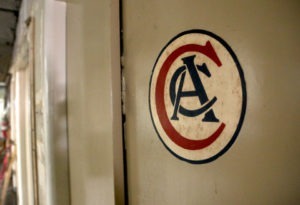 The CAC’s logo still adorns the elevator doors. Vintage light fixtures hang over a walking track above the pool. In the ballroom, craftsmen have lovingly recreated ornate plaster details on the ceiling, reversing years of water damage wrought by freezing temperatures and subsequent thaws. But there’s no memorabilia left. 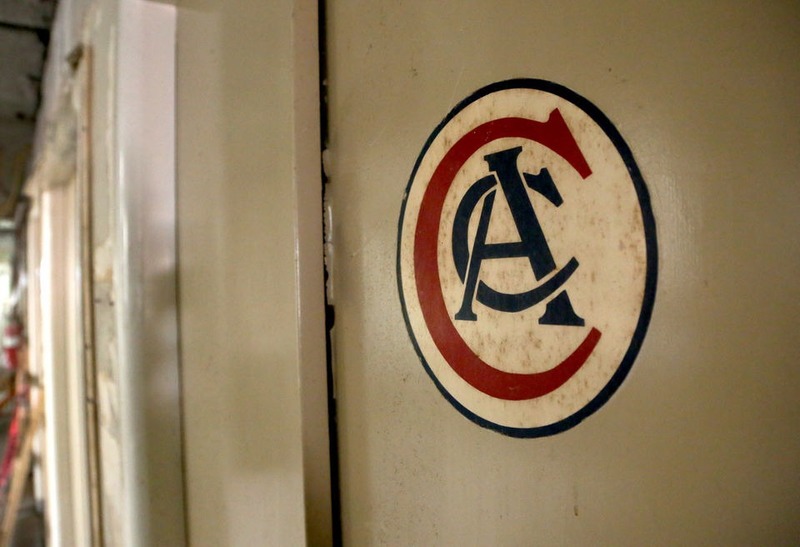 Much of it, from exercise machines and framed photos to dinner plates and chandeliers, was seized and put up for auction last year by a past property owner as part of the fallout from the club’s 2008 bankruptcy. That hasn’t stopped the inquiries from former members about what happened to their locker contents, awards, even a set of military dog tags one man misplaced. Weingart hasn’t given up hope of bringing back some keepsakes and displaying them at the Athlon. For so long, though, he’s just been focused on moving the project forward. The local ownership group came together in 2016, when the DiGeronimos and Bobecks signed on and Welty Building Co. stepped in to handle construction. Still, the last bits of funding didn’t fall into place until early this year. Cuyahoga County agreed to provide a $2 million loan. The Cleveland-Cuyahoga County Port Authority issued two bundles of bonds. The project will receive property-tax breaks from Cleveland, through a structure called tax-increment financing and tax abatement on the apartments – something the city routinely provides for new and renovated housing that meets certain standards. The deal also involves federal and state preservation incentives, a bank loan, developer equity and a roughly $3.6 million Ohio Water Development Authority loan for environmental remediation and asbestos clean-up.